Experience the romance of floating effortlessly over the vineyards with your loved one! Celebrate your special day with a "Happy Anniversary" basket banner. 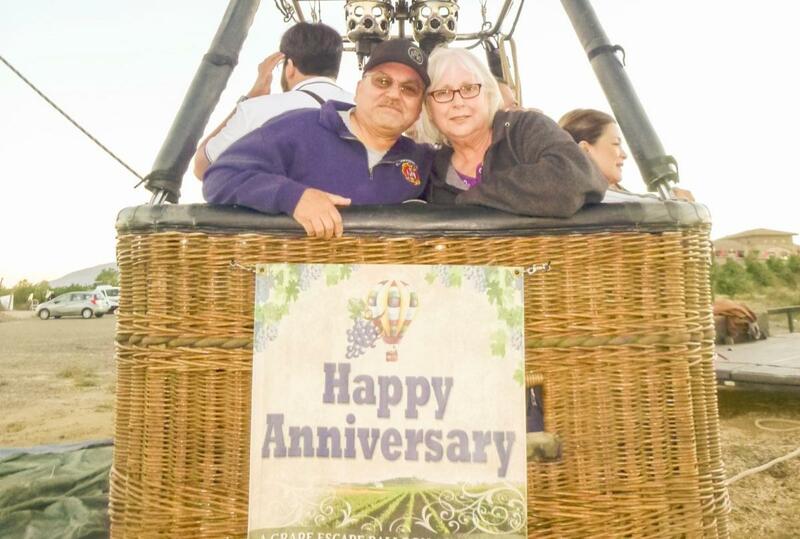 All regular flight amenities, plus: "Happy Anniversary" basket banner A mini cake is available for purchase for that extra touch to make the celebration even more special. Click on the view website link above to book now!